Will I be able to afford a bankruptcy attorney? 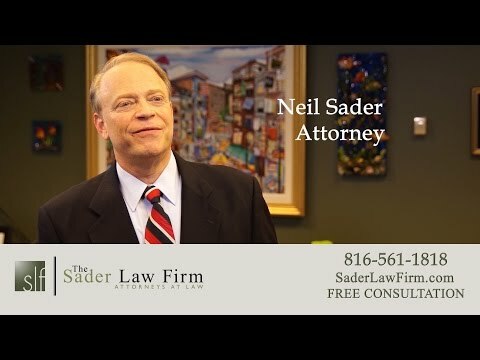 In this video, Kansas and Missouri bankruptcy lawyer Neil Sader discusses how, despite attorney fees, the average person considering individual bankruptcy can still be able to pay for bankruptcy by discharging other debts. For more information on Chapter 7 bankruptcy, you can call our law firm at (816) 281-6349 or fill out our online case review form. How can the average person that’s considering bankruptcy afford it? I get that question all the time, and what I tell people is that bankruptcy isn’t for people with no money. Bankruptcy is for people that want to protect something. When you first call the Sader Law Firm and you express that you’ve got bankruptcy concerns and that you think bankruptcy may be appropriate but that you have no money, we’re going to talk to you and try to figure out really if that’s true or not. Often, when you first come to a bankruptcy lawyer, you may not pay the full amount that’s required at that very first visit. We’ll work with clients over weeks or even over months until they can get their fees paid in order to properly handle their case. One way people pay for attorney fees is that if you have decided that filing for bankruptcy is the right thing to do, there are going to be certain debts that you’re no longer going to pay. So if you talk to a bankruptcy attorney, I may tell you, if you’re considering filing bankruptcy, you know what, you shouldn’t be paying such and such a bill going forward and that money may be able to be better used to either pay something else or to pay your bankruptcy fees so that you can get the case filed more quickly. For a confidential phone consultation with an attorney at the Sader Law Firm, give us a call at (816) 281-6349. For more information, you can also go to our website at SaderLawFirm.com. ← Can Bankruptcy Help Business Debt?